A series of summer concerts will be kicked off in style this year as Gloucester's biggest venue welcomes Jess Glynne. The 16,500 capacity stadium will see a number of concerts this year, including international superstar Lionel Richie on June 26.
t's going to be great fun playing at Kingsholm Stadium the home of Gloucester Rugby on the 18th June. I love outdoor shows so I can't wait to share the summer evening with my fans! Around 100,000 people have so far enjoyed the atmosphere and excitement of live music at Kingsholm, with previous acts including The Wanted, Tom Jones, Ronan Keating, McFly, Elton John and Madness. Gates open at 4:30, and tickets go on sale at 9am on Wednesday April 6. Tickets are priced at £34.50 for standing, £39.50 for seating. 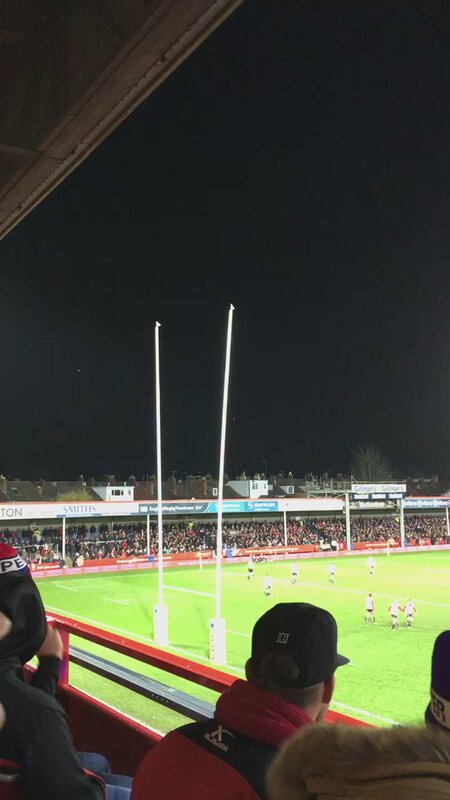 The East Stand at Kingsholm stadium has been evacuated on safety grounds due to high winds tonight during a match between Gloucester and the Barbarians. The safety precaution comes as Storm Barney picks up across the South West. Fans were moved to the main stand. Elton John caused a stir in Gloucester last night, after making a female steward at Kingsholm Stadium cry. The 68-year-old music legend lost his temper after stewards appeared to ban fans from waving, and singled out the woman for a string of foul-mouthed abuse - after which she walked off crying. I came here to play music, now all you stewards down there, especially the woman in the pony tail, f**king lighten up will you? These people have come to hear music and if they want to put their hands in the air let them. This is not f**king China, so piss off. You've got a f**king uniform on and you think you're Hitler and you're not. You can piss off! I mean really. Don't have any sympathy with her, this is a concert ok? After outrage from the crowd and another song the singer apologised and brought her on stage to give her a hug and share his piano stool with her. Opinion has been divided on Twitter about the star's behaviour, with some agreeing with what he did and others praising the concert but criticising the outburst. #EltonJohn stuck up for the crowds who basically weren't allowed to move in their seats! Night was much more fun after that! Great concert tolast night.@eltonjohn . Should have apologised to Marie because she is human rather than because she is a woman. Chauvinism.